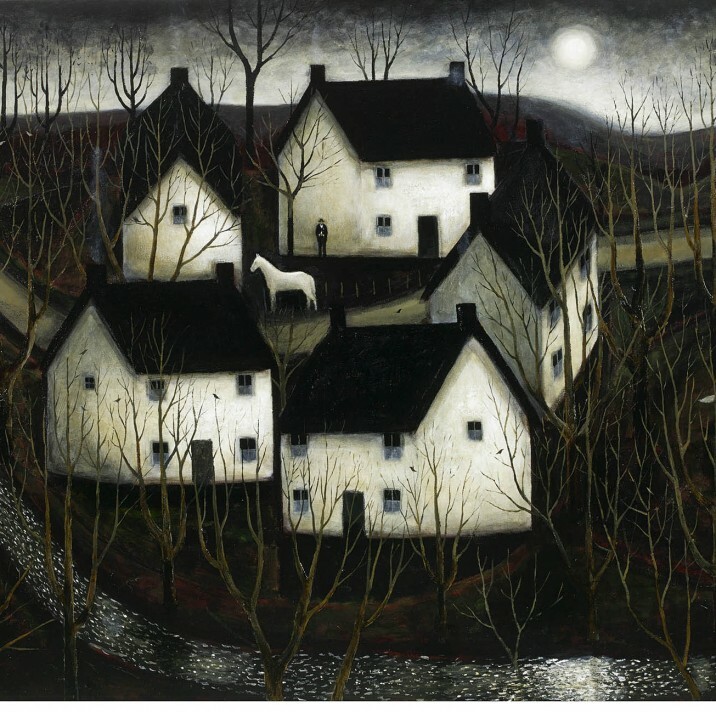 An exhibition of work by ACS member John Caple is currently on display at the John Martin Gallery. The evocative paintings which make up this exhibition are inspired by the landscape of Somerset, and draw upon a unique aspect of the artist’s family history. His ancestors were a part of a small community in the Nether Stowey area of Somerset who were reliant on common land for their food and livelihood, before their simple way of life was brought to an end in the first half of the nineteenth century. In discovering the stories of his ancestors, Caple learned that Nether Stowey was the environment in which poet Samuel Taylor Coleridge developed many Romantic visions of nature. The paintings on display here, decorated in a rich yet subdued colour palette, are an attempt to explore respectful relationships with the natural world while re-imagining the practices of Coleridge and the artist’s own family.